Who is The Stranger? From where does he ride? What does anybody know of him? Nobody and Everybody. Nowhere and Everywhere. Nothing and Everything. 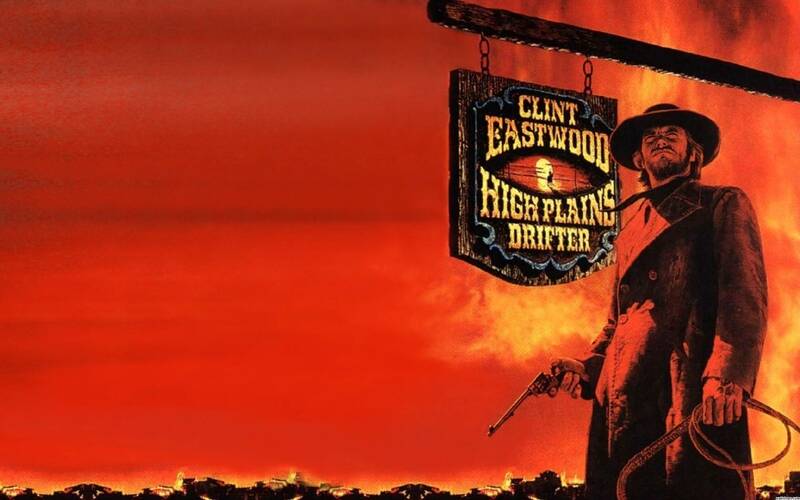 High Plains Drifter is a unique beast because 1) it is a supernatural Western, a rare if not completely tapped genre 2) the sensation of ambiguity that permeates from The Stranger simultaneously showing mercy one moment and hailing brimstone the next 3) it offers a pertinent and affecting commentary on society. Heavily inspired by the tragic murder of Kitty Genovese, High Plains Drifter presents a strong moral argument that brings to bear what we would do if we had the power to help somebody who is being beaten down and hurt only to abuse it and do nothing. Adeptly directed with gusto by Eastwood with fine performances from a cast playing a mostly despicable bunch of people, the film plays out like an Old Testament Bible story or a cruel Aesop’s’ fable. While the final frame of the film will allow you decide as to who The Stranger truly is, High Plains Drifter stands sure, tall and unflinching, much like Eastwoods’ agent of retribution. By the way, Clint Eastwood is outrageously beautiful in this movie. Just wanted to put that out there.